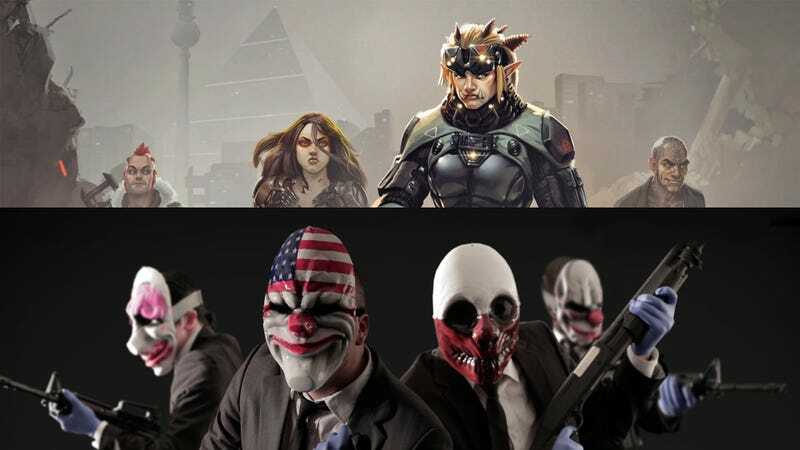 Payday 2, a mission based online co-op game, and Shadowrun, a universe where mega-corporations run a world and hired teams do dangerous jobs for and against them. A game that combines the two could be a match made in heaven. Some days I’m struck with inspiration, and sometimes that inspiration could turn into something. I had been playing Shadowrun Dragonfall and even though I hadn’t played Payday 2 in a while, I had the idea to somehow combine the two. “A music video” I thought. I knew exactly what I wanted to do. I’ll use the song “Blood Hounds” from the Shadowrun soundtrack. It’s a great song and it’s basically split into 4 different sections. Payday 2 missions can usually be split into 4 different sections, casing mode, stealth, combat, and escape. The best mission to use has to be the first world bank remake. But it was during the editing that I realized that a Payday style Shadowrun game could really work. They’re both pretty much the same idea in principle, but in different genres. Both have skill trees, but with all the classes and races that Shadowrun has, the level design would have to be top notch. There would have to be ways to finish the missions in some way no matter the composition of the team. But this has been done before. In 2007 there was a first person multiplayer Shadowrun game that was released for the xbox 360 and PC. But it was a competitive multiplayer game and not co-operative. This is all wishful thinking of course, since I’m seemingly the only one who wants this. Also, a deal would need to be struck between Overkill Software publisher Starbreeze Studios and Harebrained Scheme publisher Paradox Interactive. Now I want to make another video using a song from the Shadowrun Hong Kong soundtrack. But I’m not sure which Payday 2 mission to use. The song has everything. It’s catchy, and there’s no down time, so it won’t be a slow start like the first one I made. The composer, Jon Everist, even incorporates the sound of police sirens in the song. Even the name of the song fits.